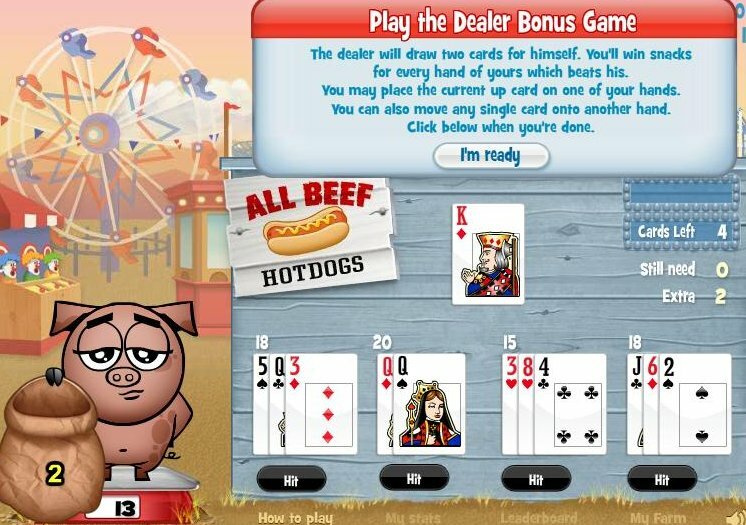 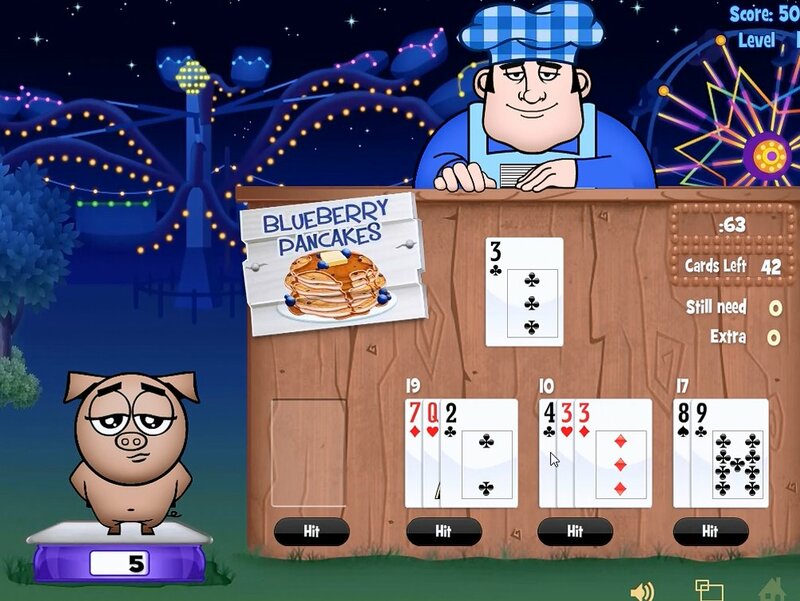 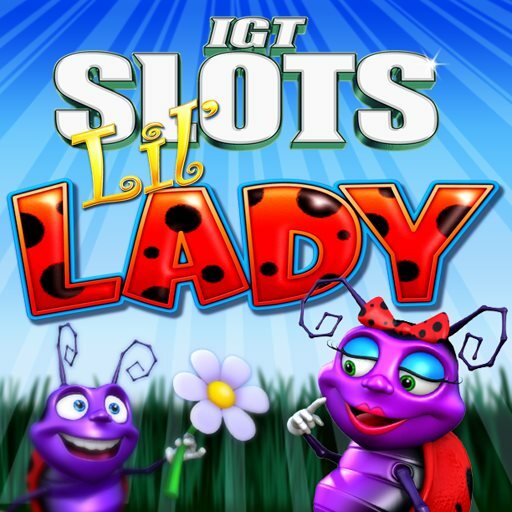 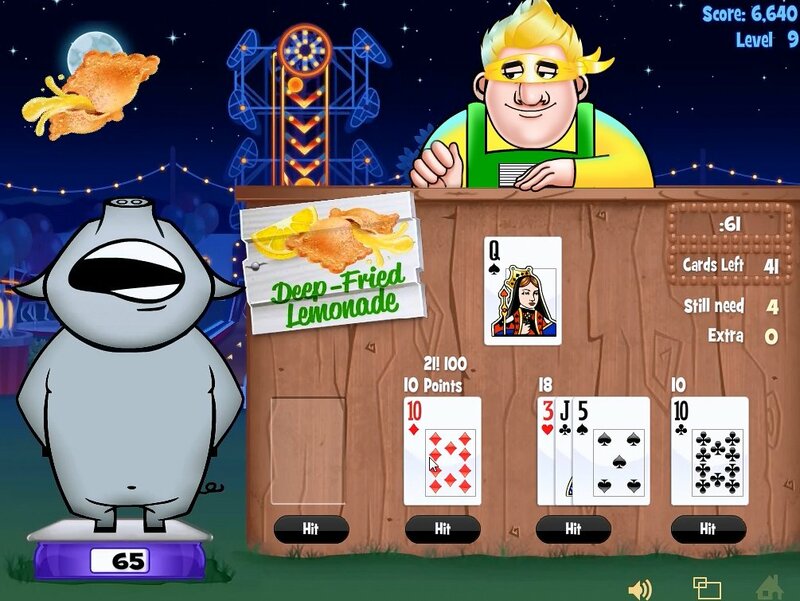 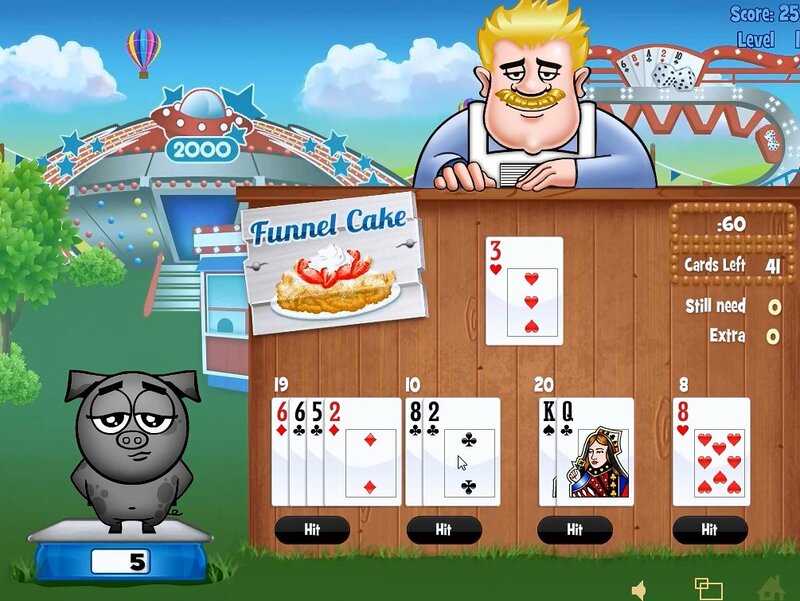 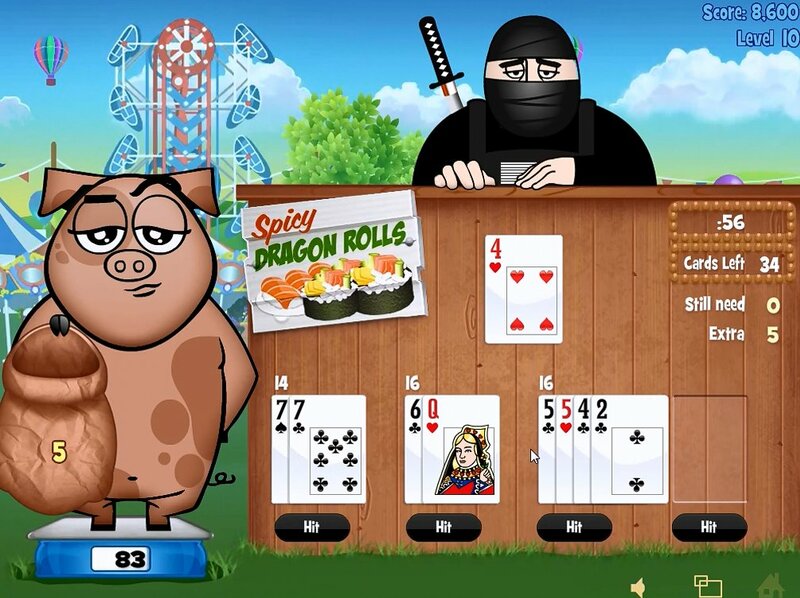 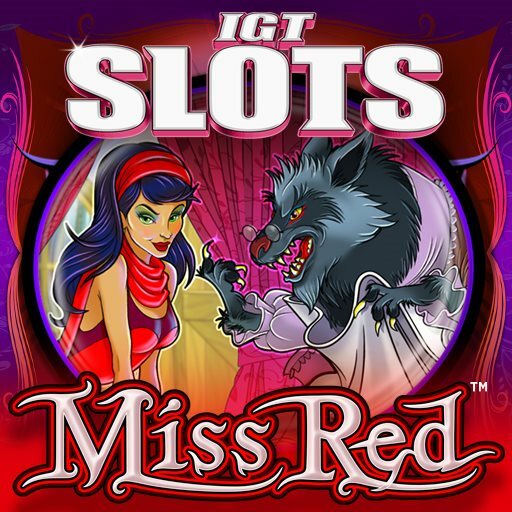 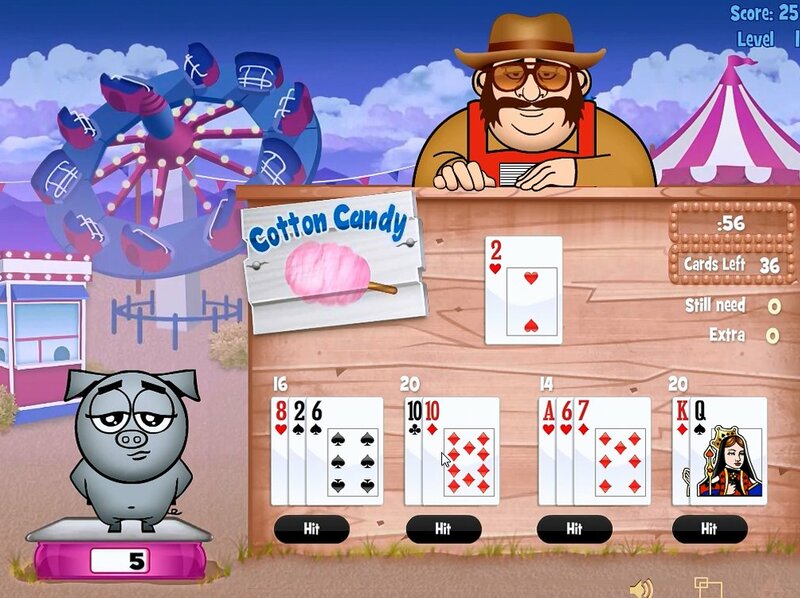 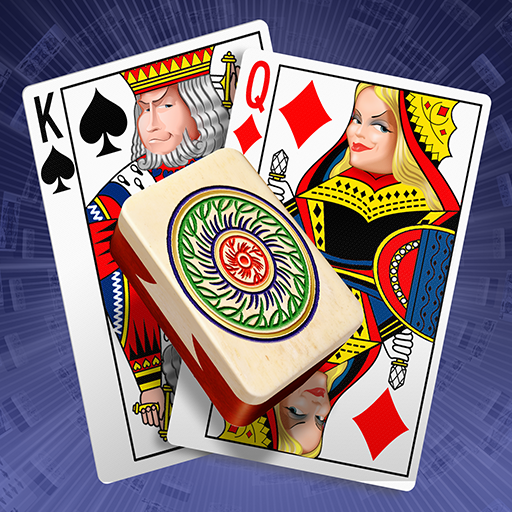 Help your prize pig catch 21 snacks by building blackjack hands at the carnival midway in this turbo-paced 21 game. 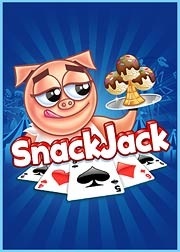 Each black jack snack helps your pig grow, but catch too few and your pig may run away! 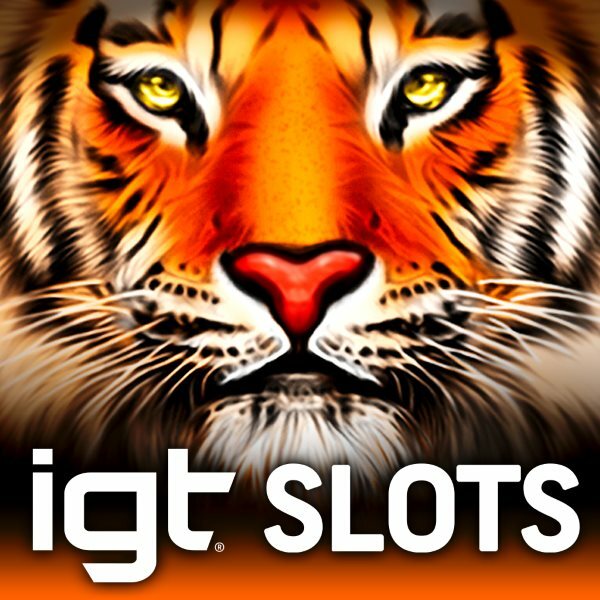 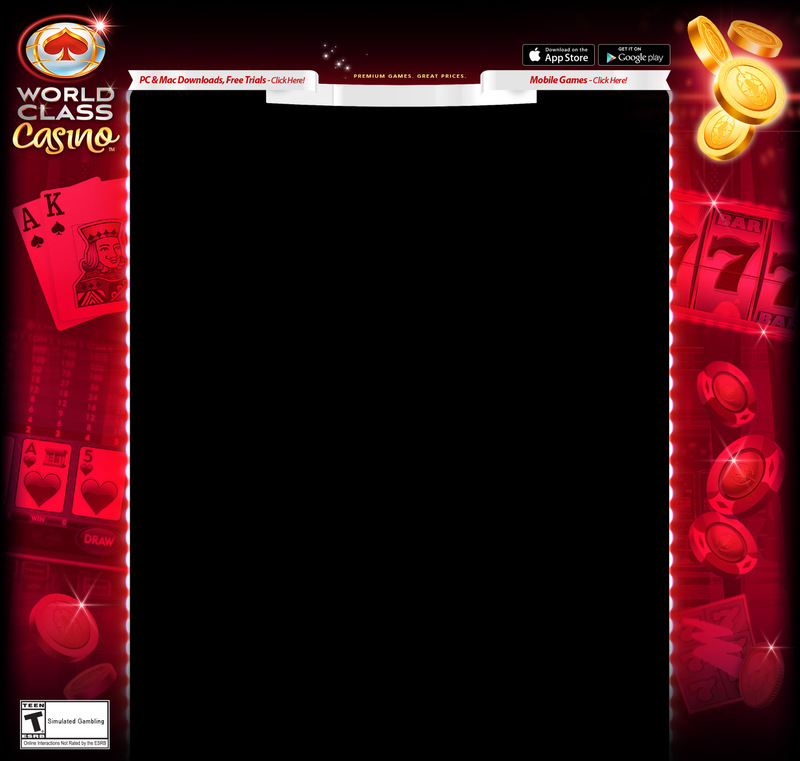 2011 AdobeMAX Showcase App winner! 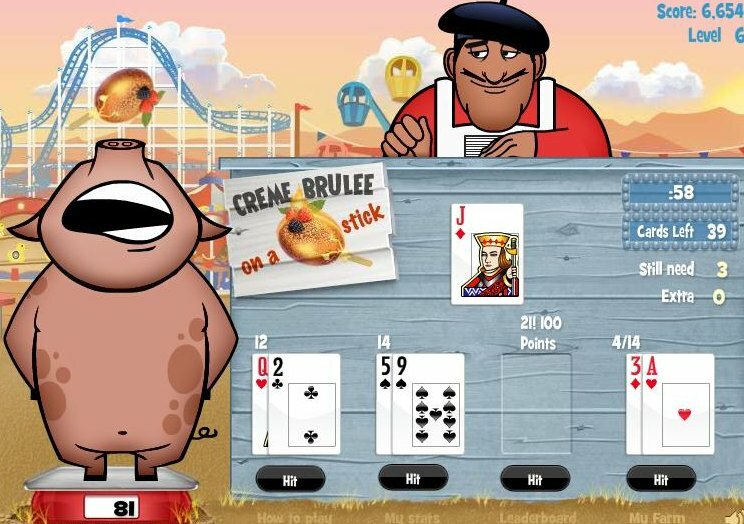 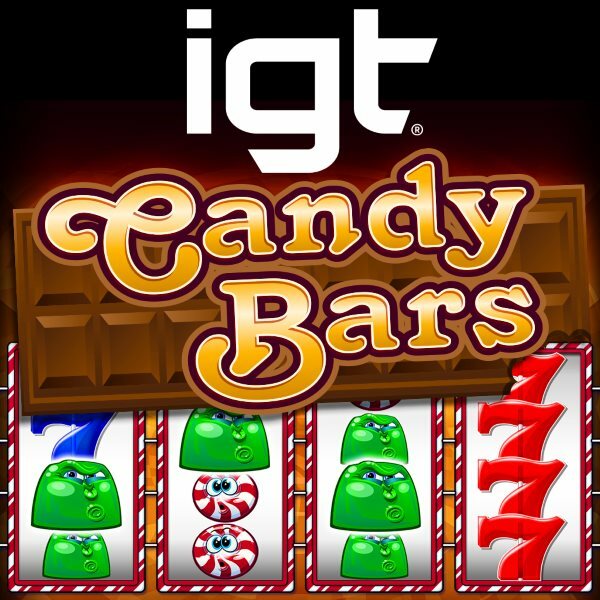 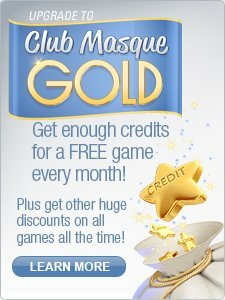 Score bonus points for straights and 5-card charlies and play the Dealer Bonus Game after each round for even more snacks! 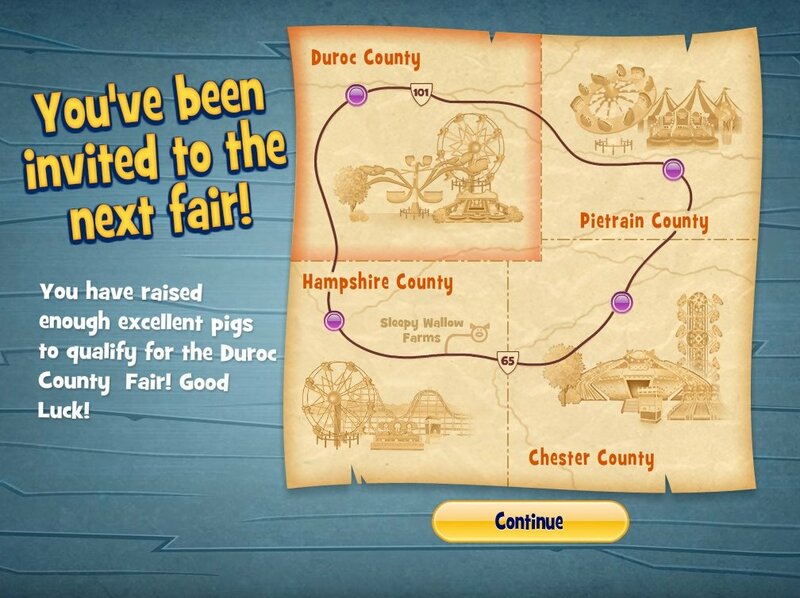 Progress through as many vendor stands as you can to raise a champion swine, then build a home for your best pigs at Sleepy Wallow farm. 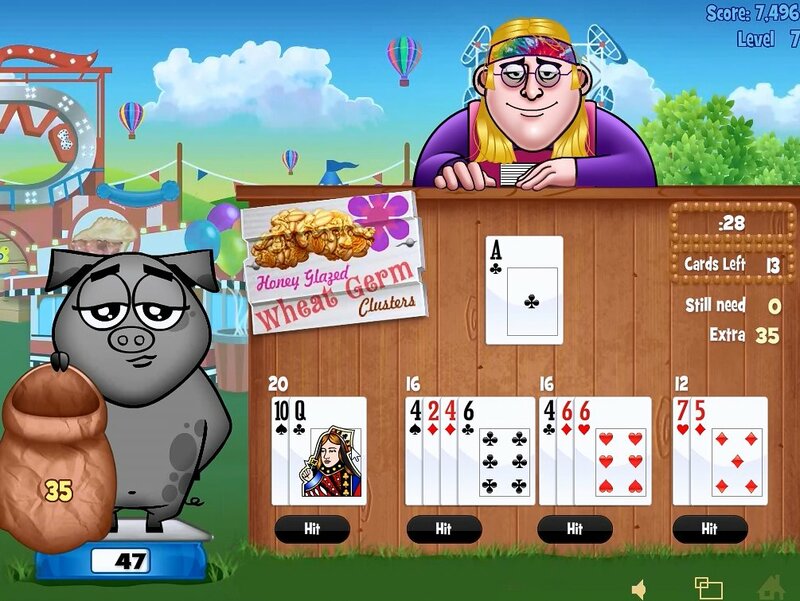 The more pigs you retire, the more prizes and upgrades you’ll earn to build up your retirement village. 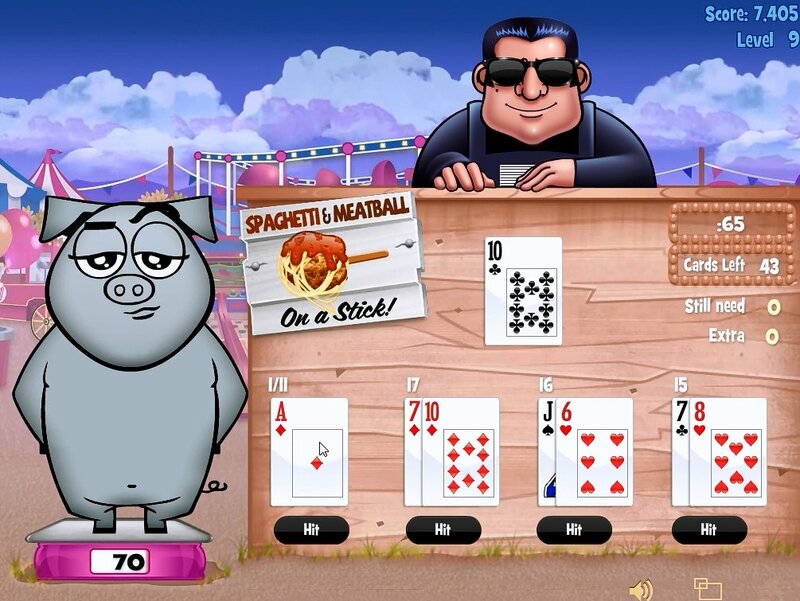 Eventually you’ll be able to create an entire pig city, complete with a karaoke bar, bowling alley, movie theatre, tattoo parlor, and even a football stadium!